This year’s theme, “Acceler8 Region 8 thru the Digital Economy”, highlights the resiliency and renewed dynamism of Eastern Visayas after Typhoon Yolanda. Department of Science and Technology (DOST) Region 8 Director Edgardo Esperancilla serves as chairman of the summit as the chair of RICTC-EVFIT. NICP President Wilfredo Sa-a, Jr. hopes to bring together champions of the information and communications technology from public and private sectors to share industry trends and development, understand the challenges, identify and collaborate on ways forward to promote ICT industry development, generate new investments and create new jobs for the cities outside of Metro Manila and the countryside. Among the key activity of the summit is the 5th eGOV Awards for local government units, a recognition given to municipalities, cities, and provinces with exemplary performance in empowering its citizens and business sector by integrating ICT in their programs and services. Jocelle Batapa-Sigue, former president of NICP and chair of the 2016 eGOV awards says the two categories are Best in eGov Customer Empowerment (G2C) Award and Best in eGov Business Empowerment (G2B) Award. 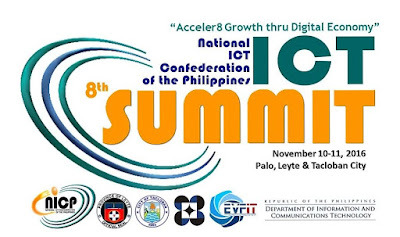 This year’s topics include the presentation of Philippine IT-BPM Roadmap 2022, NICP Targets in for 2022, creating competitive cities and exploring affordable innovative options, impact sourcing and developing country side outsourcing, resiliency and business continuity, Internet for agriculture and creating a startup ecosystem. The 2-day summit will also feature a 24-hour hackathon called Hack the Climate which will serve as venue for developers to create solutions addressing climate change and environment issues. 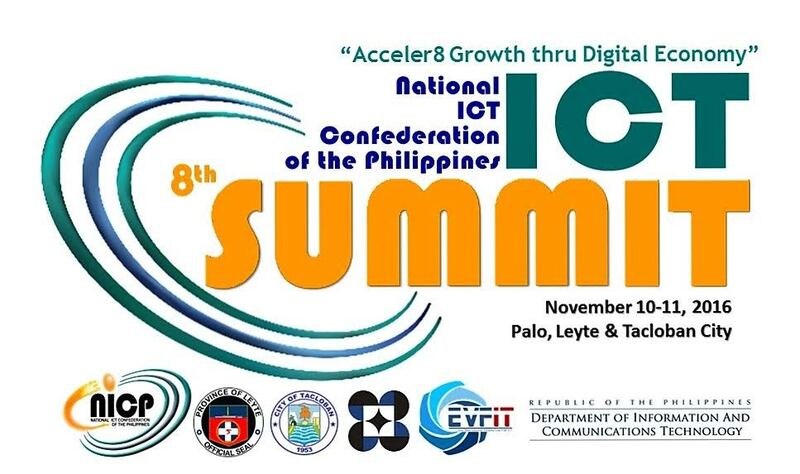 The event is supported by the newly-created Department of Information and Communications Technology (DICT).